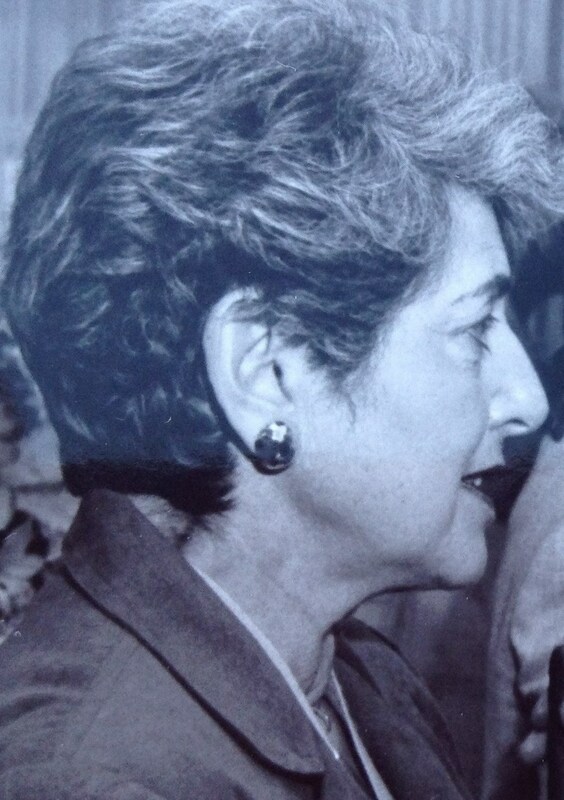 My mother died the same day all the international airlines cancelled their flights to and from Israel. To get to the funeral in Cleveland, I imagined swimming across the Jordan River, hailing a cab to Amman, flying to Istanbul with Royal Jordanian, then to New York with Turkish Air. It would take less than three days. But before packing my swimsuit for crossing the Jordan, I took the advice of Sherri, my loyal travel agent at Ophir Tours, and drove to Ben-Gurion Airport to stand in line at the only airline still flying to and from Israel: El Al. Never did the national airline look so good. I used my pushy skills honed over the past forty-seven years and in no time reached the front of the line. The conscientious clerk went into emergency mode when she heard me say, “My mother died.” She stood up, raced to the back room and initiated Protocol 077 or whatever code they use for Mourner. I got the last seat on the El Al flight to JFK the next afternoon. In Hebrew the time between death and burial—that liminal zone when everyday life is suspended for mourners—is called anninut. According to the laws of Jewish mourning one starts to mourn after the funeral. But the psyche has its own laws. According to these laws, as I experienced them between July 22nd and 25th , I reciprocated any act of kindness towards me with tears. This is why, when the lovely welcoming stewardess on El Al told me I had a seat by the door with enough leg room for a person six feet tall, I cried. And when a fatherly steward, who looked like Santa Claus on vacation, brought me a warm fuzzy blanket to counter the freezing air conditioning, I again shed tears. I dared tell yet another beautiful Jewess that I was a vegan and she brought me a fruit salad from first class. Was that not worthy of a cry? By the time we flew over Rhodes, I felt guilty for having deserted El Al years ago, choosing Continental, because of its Cleveland hub. Guilt seemed appropriate on a Jewish airline. The morning after arriving at JFK, I waited for four hours at La Guardia for a flight to Cleveland. Nobody knew or cared that my mother had died. I tried to make the most of this situation by talking Death to the gentleman sitting next to me. Fortunately, he had flown from Cleveland to his own mother’s funeral in Jamaica several months earlier. We compared mourning customs and concluded there is no one way to mourn. Not only is it individual, as I once learned from Prof. Gerald Kaplan when he came to Israel in 1973 to train us social workers caring for bereaved families from the Yom Kippur War, but it is also determined by culture, geography and religion. 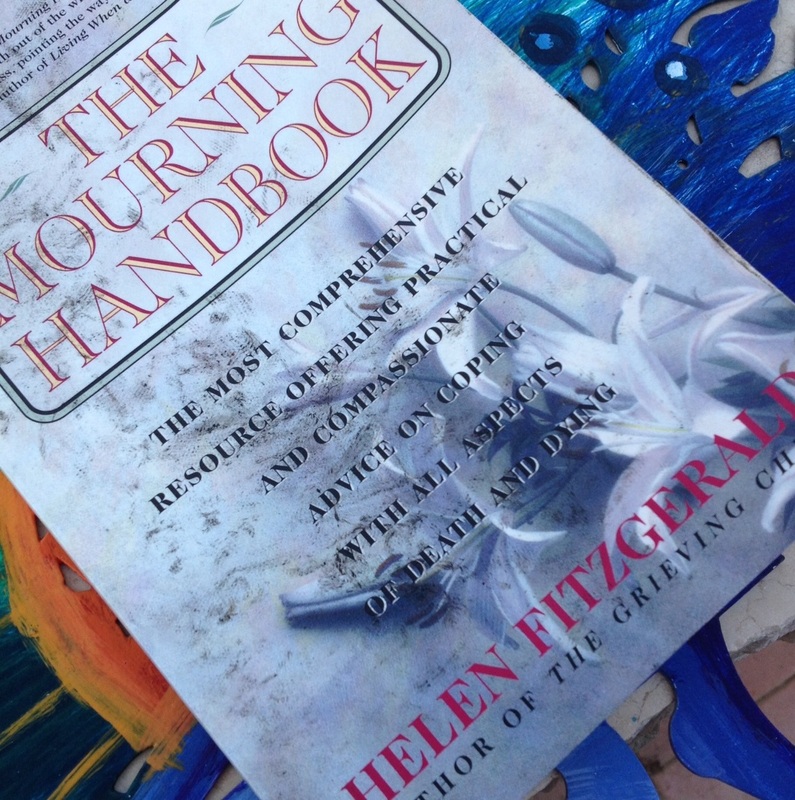 During my week in Cleveland all I wanted to read were obituaries, so it came as no surprise that on my way to the airport on the last day, when my loving son from California and I visited Loganberry Used Bookstore on Larchmere Road, I bought The Mourning Handbook: The Most Comprehensive Resource Offering Practical and Compassionate Advice On Coping with All Aspects of Death and Dying by Helen Fitzgerald. Given the working title of my (in progress) hybrid memoir, The Mourning After, it’s amazing I had never heard of Fitzgerald’s 1995 book. Timing is everything, to simplify Ecclesiastes. I bought the book on the exact day I needed it. Here was the whole galaxy of mourning in one easily scrunchable paperback that fit into my purse and that would enable me to survive five hours at JFK, ten more on El Al and a year of mourning. Now, I have been home for a month. Having buried my mother and sat Shiva in Cleveland and observed the Shloshim in Jerusalem, in my periodic visions of grandeur, I morph into a grief entrepreneur. I imagine leading workshops on Unresolved Childhood Grief (Fitzgerald, p. 217), starting at The Writing Pad in Beit Zayit and then taking the show on the road. I now see The Mourning After as a hybrid collection of writings that helped me deal with unresolved childhood grief. There is nothing like a Death in the family—throwing a shovelful of dirt on your mother’s open grave—to transport you from Fantasy Land to Reality. The dramatic transition feels like crossing the chilly Jordan . . . or some Jordan. Though ritually I have left anninut and am planted firmly in the mourning year, the psyche still hovers in some liminal, transitional zone. Call it Elul. Call it Orphan-hood. Or Maturity. Whatever it’s called, I want to thank El Al for carrying me in my hour of need from one side to the other and I want to thank Helen Fitzgerald for giving my obsession a name and I especially want to thank my late Mother, Mom, Rita Faye (nee Grossman) Stonehill, a beautiful Jewess who carried me in this world with milk and honey, even as she told me to get the hair out of my eyes and the thumb out of my mouth, and whose memory is . . . and will forever be . . . a blessing. This entry was posted in Grief and Mourning, Unresolved Childhood Grief. Bookmark the permalink. Lovely article. Oh, do I empathize. My mother died this year also, suddenly, in Winnipeg and I have my own stories of getting there. And dealing with her possessions – another story entirely. Winnipeg, Carol. That’s really hard to get to quickly. This is obviously one of the downsides of aliyah. Extra innings were a killer, George. Thanks, Frances. So good to hear from you. It’s pretty pathetic when the one thing you love about the country is that which takes you away from it. Judy, So sorry about your mother but this is a brilliant piece of writing. I can’t wait to return to learn from you again next mid March to mid May. Looking forward to seeing you, Marianne. Glad to hear you were not affected by the earthquake. Shana Tova. Moved me very deeply. A beautiful piece. Thank you, Risa. Nice to hear from you. Shana Tova! Any plans to come visit? 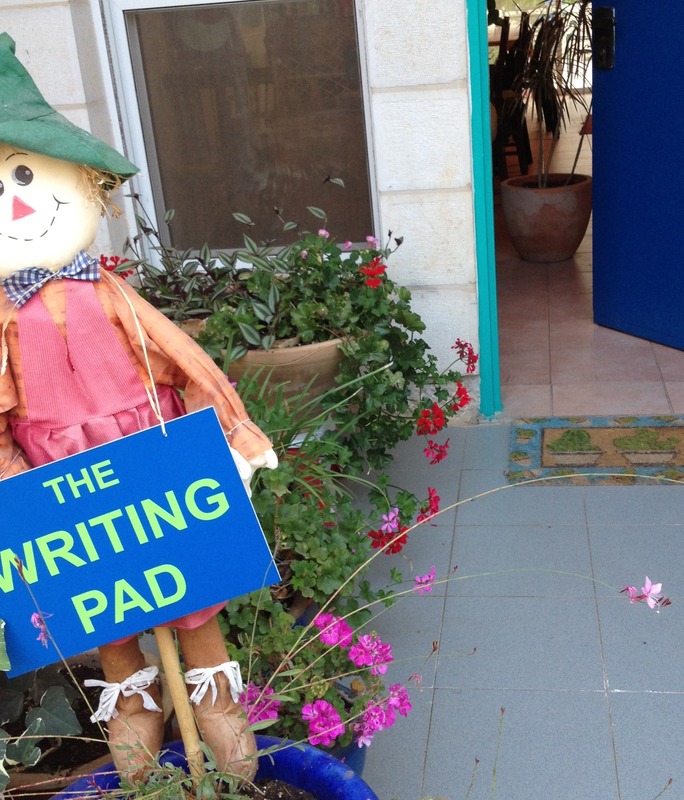 You can teach at The Writing Pad. Thank you, Bonnie. Looking forward. Judy, my condolences on your mother’s death. Thank you for a beautiful piece of writing. Condolences and congratulations on another beautiful blog post. I’m so looking forward to reading your memoir. I loved her too…………and will always carry her distinctive laughter in my heart. Once long ago, Mauro recognized her on a crowed airplane from New York to Cleveland – just by her laugh! A beautiful thing to be remembered by – especially in these times when most people have forgotten how or why to laugh. What a beautiful comment, Nancy. Thank you. Much love. so sorry to hear about your loss. i had no idea about this when i spoke with you in August. i hope your memories of her are also a blessing. btw-if you are serious about doing some grief workshops – i could team up with you. i have written about childhood grief professionally and am happy to send you some articles. Thanks for the cry Judy. I loved it. Judy, I am coming to this late, but my condolences are heartfelt.